Mahindra and Mahindra is a famous automobile manufacturing company in India which has been delivering good automobiles to the Indian auto market. After the end up of the joint venture of Mahindra and Mahindra and Renault, the company has renamed the Logan car with new Mahindra Verito. The company has maintained one particular routine of naming its car with the last letter with “o”. This time also the company has done the same thing. Along with the name, the car has experienced some new changes in the older version. The car experiences an exterior design that is unique. The Mahindra Verito price is Rs. 5, 50,000. The Mahindra Verito features are exciting. The all new Mahindra Verito comes with attractive exterior design as well as the interiors. The seats arrangement of the car is extra ordinary and thus the riders will experience more comfort. Enhanced safety is also ensured in the car along with comfort. The car interior dashboard is provided with a wide range of options for various purposes. Placement of the gears is also done at perfect place for using the gears in an effective way. The headlamp of the car comes with good capacity and thus the lights can focus very effectively. The 8 valve and 4 cylinder engine of the car produces a displacement of 1390cc. the petrol driven car will produce a maximum power of 75 Bhp at the rate of 5500rpm. Maximum torque that will be pumped out by the engine is 110Nm at the rate of 3000rpm. The perfect dimension of the Mahindra Vertio is 4247x 1740x 1534mm. good braking system is also enabled in the car. Total weight of the car is around 1080 kg. The power steering car is having a fuel tank of 50 liters capacity. 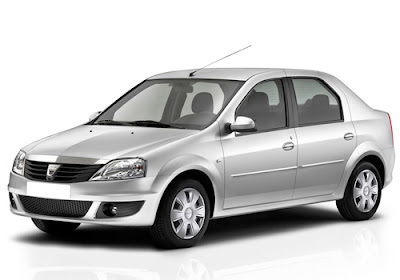 The Mahindra Verito reviews are very positive and can be obtained from the internet.